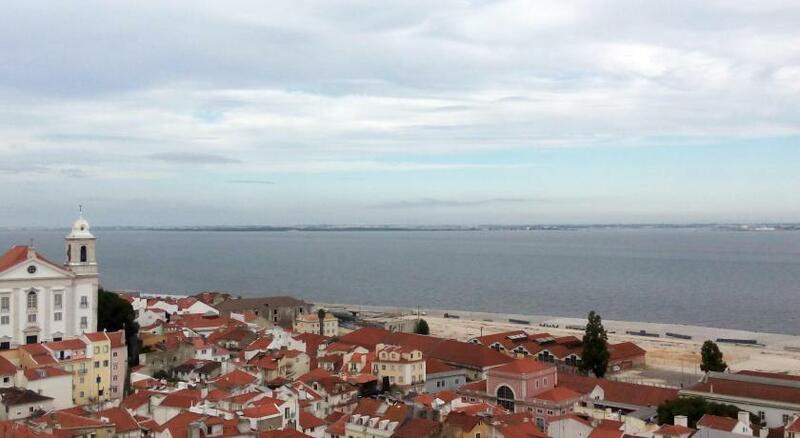 Lock in a great price for Santiago de Alfama - Boutique Hotel – rated 9.3 by recent guests! Outstanding staff. Wonderful location. Beautiful room. Staff informative and so helpful. Lovely, quiet room. Great location and the attached restaurant is wonderful. Bed so comfortable. Impressed with reconstruction of this property. Every detail well planned and executed. Location was excellent and staff was very helpful and attentive. 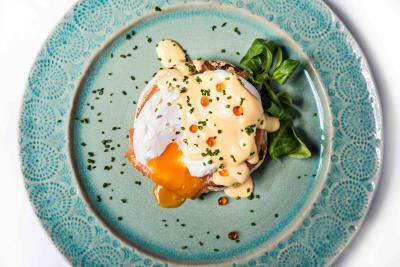 On site restaurant -Audrey's was delightful and the morning breakfast was outstanding (everything prepared to order). Unique spaces everywhere in this outstanding, beautifully detailed boutique hotel. Great service people at the hotel. Great decor and comfort of hotel. 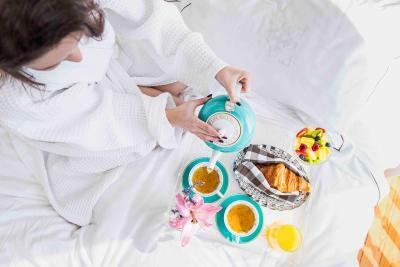 The service at Santiago de Alfama is impeccable, the beds are super comfortable, the breakfast is absolutely delicious. 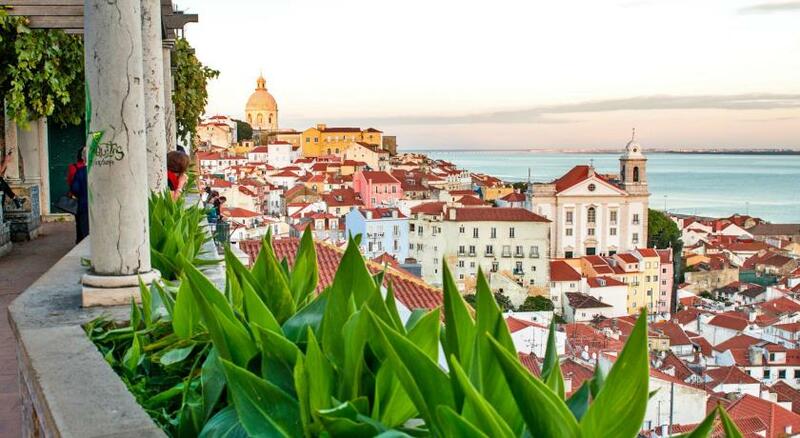 Everything about this quiet hotel tucked into the sleepy side of Lisbon is five-star quality. The location is excellent and in the middle of the old town area. It is within walking distance of restaurants, and many tourist attractions. The staff couldn't be more gracious and accommodating. Thank you for making our short time in Lisbon so memorable. Santiago de Alfama - Boutique Hotel This rating is a reflection of how the property compares to the industry standard when it comes to price, facilities and services available. It's based on a self-evaluation by the property. Use this rating to help choose your stay! One of our best sellers in Lisbon! 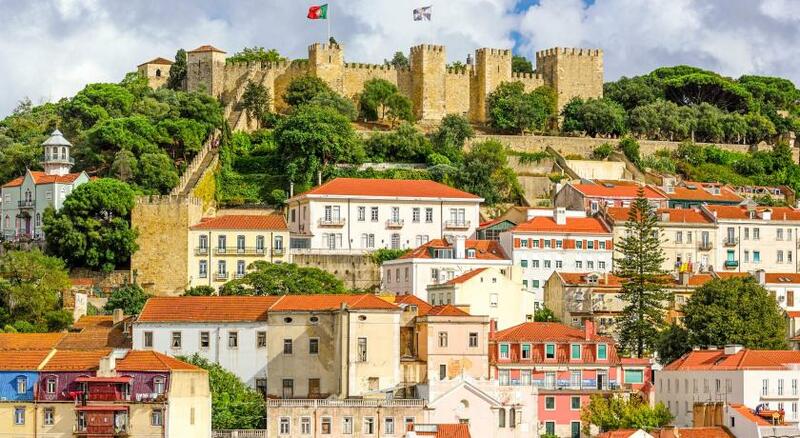 The 5-star Santiago de Alfama – Boutique Hotel is located in the historic center of Lisbon just an 8-minute walk from the iconic São Jorge Castle and offers panoramic views of the city. With free WiFi, this charming hotel is just 1,650 feet from the Pombaline Downtown. 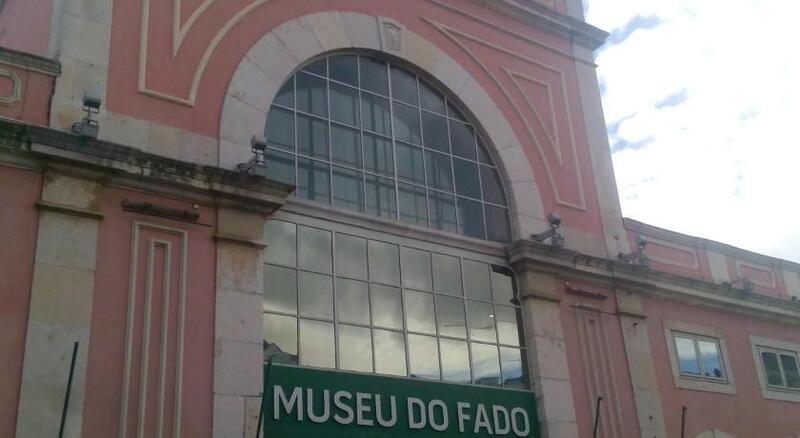 The lively Bairro Alto district and the shopping area of Chiado are within a 20-minute walk and the nearest metro station is Terreiro do Paço, 2,650 feet away. Lisbon International Airport is 4.3 mi away. 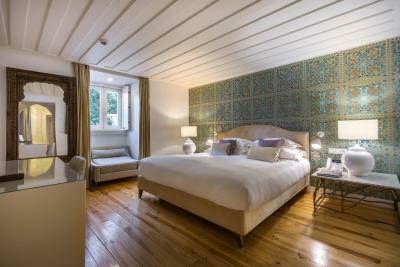 When would you like to stay at Santiago de Alfama - Boutique Hotel? 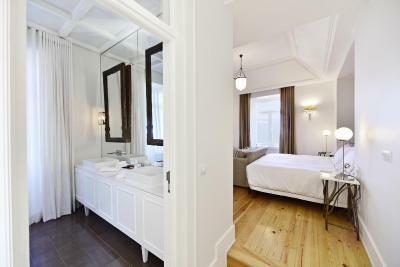 This air-conditioned junior suite offers a view over Lisbon and includes a flat-screen TV and a private bathroom. This luxurious air-conditioned double room offers views of the Tejo River and includes a flat-screen TV and a private bathroom. 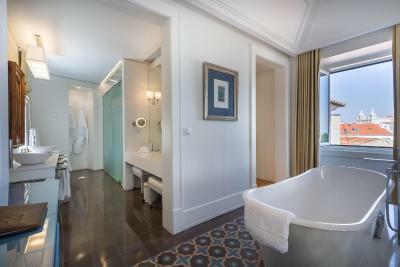 This luxurious air-conditioned junior suite offers a panoramic view over Lisbon and includes a flat-screen TV and a private bathroom. This double room features a bathrobe, cable TV and soundproofing. 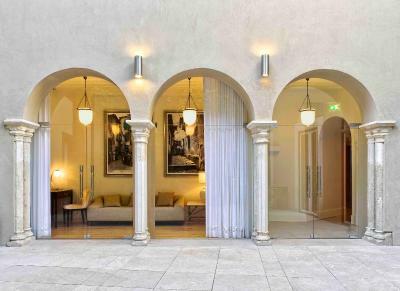 Santiago de Alfama has been reborn from the brink of becoming part of Lisbon’s archeological heritage, this 15th century ´Palacio dos Castros´ has a new lease of life and is now home to Lisbon’s newest 5 star Boutique Hotel. 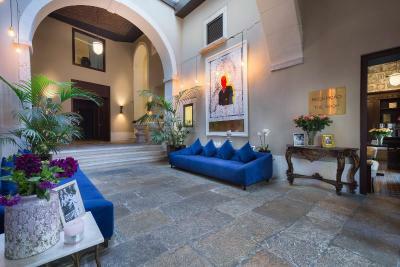 House Rules Santiago de Alfama - Boutique Hotel takes special requests – add in the next step! Debit card Santiago de Alfama - Boutique Hotel accepts these cards and reserves the right to temporarily hold an amount prior to arrival. Santiago de Alfama - Boutique Hotel accepts these cards and reserves the right to temporarily hold an amount prior to arrival. The area is fantastic and the building as well. Nice decorations and some beautiful parts of the hotel. Nice feeling of the building! Breakfast was good. Otherwise the restaurant was a bit of a disappointment given the 5-star rating. Our room (205) was excellent. Spacious and with lots of natural light. Large bed and excellent bathroom. One of the best rooms we've stayed in. The location in upper Alfamar is really great. The food was great staff at restaurant and reception were very pleasant their tour guide was great meeting the owner and his wife and learning about the hotels history made the stay a history lesson. Clean, spacious rooms, lots of light. Nice view from top floor.Nice quality breakfast though not really waste choice. Lovely bar. My husband and I spent three nights at Santiago de Alfama, and it was our favorite hotel of the four we stayed at during our two weeks of traveling through Portugal this September. This hotel does everything right. The location could not be better. 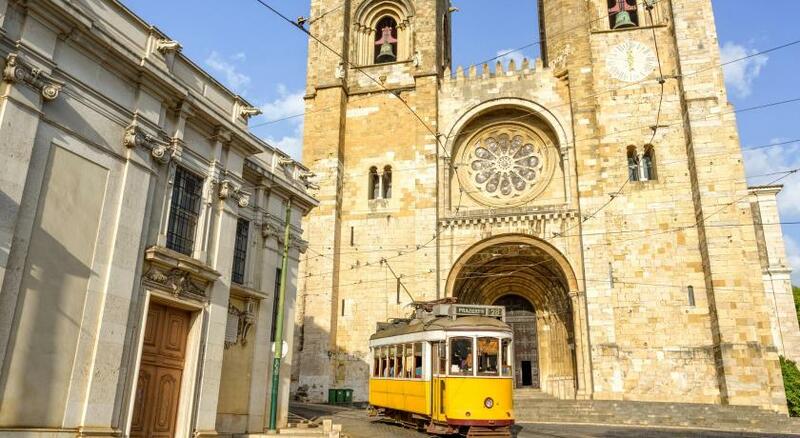 It's in the heart of the most charming neighborhood in Lisbon, and steps from Castelo de Sao Jorge (where we watched the sunset over Lisbon, as recommended by one of the staff) and the Se Cathedral. The building itself has so much history, and the hotel is just beautifully done. It's luxurious and cozy. Our room was lovely, so comfortable, and well appointed. We had a river view and watched the sunrise over the Tagus in the morning. The restaurant, Audrey's, is delicious. There was so much to choose from at breakfast, and their Clams Bulhao Pato were the best we had in Portugal. Even if you do not stay at this hotel, plan to eat at Audrey's as you are wondering through Alfama (it's open to the public). The very best part of this hotel, and what truly makes it so special, are the staff. Upon arrival, our Uber driver dropped us at the charming little square at the end of the street. As we were making our way to the hotel, a server from Audrey's saw me and ran to help me with my luggage. That was a small gesture, that set a big tone. The service at this hotel is exceptional. 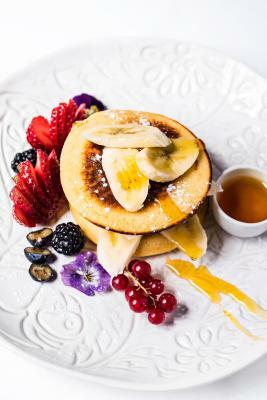 From the owners who personally greet guests, to the reception, restaurant, and cleaning staff. Everyone goes out of their way to make sure guests are comfortable and well cared for. Our favorite thing was to relax at Manny's Bar after being out exploring all day, and have a refreshing glass (or two) of Vinho Verde. It was so nice to be greeted by warm and friendly faces, it made us feel as if we were home. Thank you all for a memorable experience! The staff of the hotel and the restaurant are very friendly and helpful. 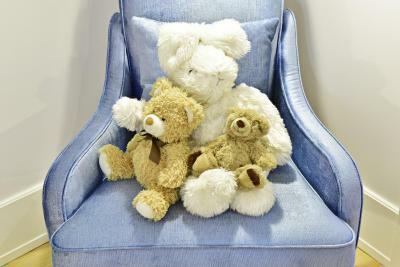 They went out their way to make guests feel welcome and comfortable. It is a stylish hotel with attention to details. 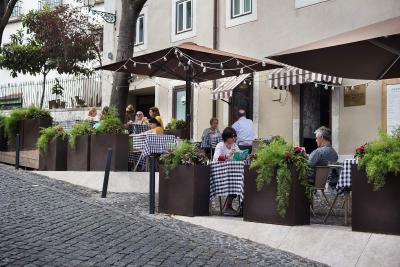 The location is great--at the heart of Alfama and a stroll away from many local attractions. Charming neighborhood. The hotel is beautiful. The staff were excellent on most occasions. We were in room 303, a junior suite. It is a great room and I would strongly recommend it.